With enormous experience in this domain, we have established ourselves as the most reliable manufacturer and supplier of premium quality Kabaddi Mat. Incepted in the year 2000, we, Swastik Polymers, have successfully manifested ourselves in the market as a renowned Manufacturer of best quality EVA Products. 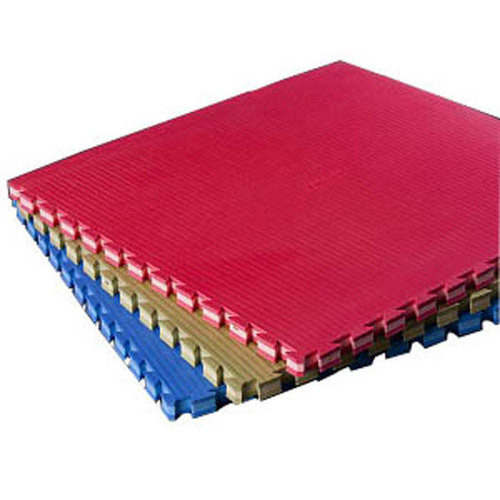 Our offered range of product consists EVA Sheet, Jute Fabric, Disposable Slipper Sole, Cross-Linked EVA Sheet, EVA Gaskets, and EVA Interlocking Mats. Offered EVA and polymer products are highly appreciated among our clients for its unmatched quality and durability. Our products are manufactured from optimum grade basic material by employing progressive manufacturing methods under the assistance of our domain experts. These products are manufactured as per the industry parameters and norms. Clients can purchase the offered polymer products from us in a variety of specifications at market leading prices.